KIEV, January 18. /TASS/. 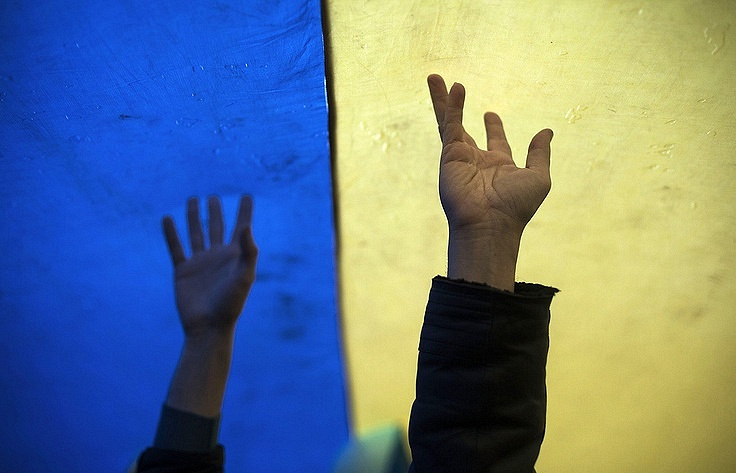 Ukraine’s Verkhovna Rada adopted the so-called law on Donbass reintegration on Thursday. A total of 280 MPs voted in favor of the law, with the required minimum of 226 votes. The document is titled "On the aspects of state policy on the restoration of the state sovereignty of Ukraine over the temporarily occupied territory of the Donetsk and Lugansk regions of Ukraine." "The decision is made," Parliament Speaker Andrei Parubiy said. Over the past three days, the lawmakers have considered 700 amendments to the law, endorsing only eight of them. Ivan Vinnik, who heads the Committee on National Security and Defense, said he gave the green light to the Rada to pass the law after some wording is specified. The Opposition Bloc was the only parliamentary party that did not back the law, saying that it is "harmful for Ukraine and the people of Donbass." On October 6, Ukraine’s Rada passed in its first reading the bill on the reintegration of Donbass. Any mentioning of the Minsk agreements has been excluded from the document. The bill classifies the self-proclaimed Donetsk and Lugansk People’s Republics as "occupied territories," labels Russia an "occupier" and officially introduces the notion of "Russian aggression." The measures on the reintegration of the region boil down to a use-of-force scenario, and political and diplomatic pressure on Russia. The parliament refused to back an amendment calling to denounce the Russian-Ukrainian Friendship Treaty, signed in 1997, as this could put in question the current country’s borders. The lawmakers did not support the proposal to sever diplomatic relations with Russia and recognize the Donbass republics as terrorist organizations.